Illuminate Every Corner Of Your Living Room In Style With This Tealight holder Combo That Is Brought To You By CraftVatika.This Is A Very Unique, Useful And Value For Money Product For Home Decoration. When the Tealight is lighted it reflects out different amazing light shades which are captivating. 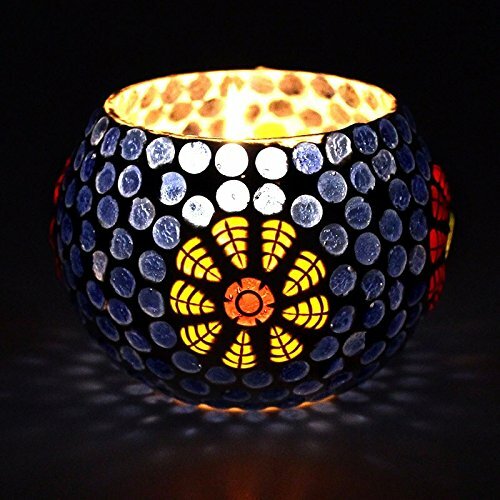 Decorate your living room, bedroom and outdoor with this graceful tea light holder. Spritual Lucky Gift, Thanksgiving Gift, Anniversary Gift, Wedding Gift, Birthday Gift, halloween gift, Christmas Gift, Diwali Gifts. If you have any questions about this product by CraftVatika, contact us by completing and submitting the form below. If you are looking for a specif part number, please include it with your message.